Post Operative Nausea and Vomiting (PONV) is a relatively common problem after surgical procedures under general anaesthesia. It is often described as the “Big little problem”. By this it is meant that it is a big problem because it is common and causes much distress to patients. It is a little problem in that it not life threatening and is usually of limited duration. The problem cannot be denied as some patients fear it more than the postoperative pain or even having a heart attack. 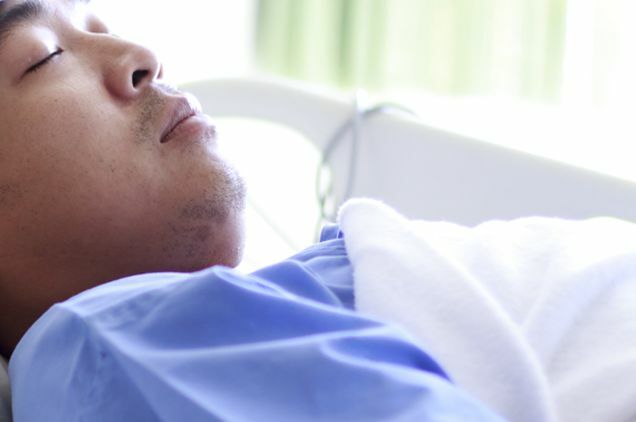 The problems it causes are an increased length of hospital stay, possible readmission after discharge and surgical complications such as wound breakdown, bleeding and nutritional compromise. The overall incidence of PONV is 35%. In high risk patients the incidence is 70%. This makes PONV a significant factor in the postoperative recovery period of any patient. It can be seen that this is not a very precise scoring system and the ability tho predict when someone is going to suffer PONV is rather limited. Nonetheless it can act as a guide. The problem with preventing and treating PONV is that it is a very well conserved physiological reflex. By this it is meant that there are many different stimuli that initiate the problem, there are many different nerve pathways and transmitters for relaying the stimulus and there is a complex interplay of different centres in the brain to initiate vomiting. So there is no single drug or intervention to either prevent or treat PONV. The management has to therefore involve a number of different drugs and interventions. The initial aim in dealing with this problem is prevention. The first step is to try and gauge the risk of PONV and start employing as many different strategies as possible to deal with the problem. This starts with psychological reassurance so that patients feel that their problem is being recognised and taken seriously. If the risk of PONV is greater than 40%, it is reasonable to start using combinations of drugs to prevent the problem. These drugs include steroids, histamine receptor blockers, proton pump inhibitors, sodium citrate, maxolon and a sedative premedication. The anaesthetic technique can be varied to try and minimise the risk of PONV and this includes using a regional or local anaesthetic technique, Total Intravenous Anaesthesia (TIVA) using propofol, ensuring adequate analgesia, avoiding nitrous oxide, opiates (morhine) and neostigmine (reversal agent). It is used as a one off dose and the mechanism of action is unknown. It does not have the complications associated with taking steroids for a longer period of time such as infection, increased blood sugar levels and bone fractures. Probably works on the dopamine receptors and is reasonably effective. The side effects include sedation and strange movements (extrapyramidal effects). These drugs also act via the dopamine receptors and the side effects include low blood pressure, mood changes, drowsiness, restless legs and extrapyramidal movements. This drugs acts in muscarinic receptors. The side effects include a dry mouth, increased heart rate, blurred vision, confusion and restlessness. This includes drugs such as ondansetron, granisitron, tropisitron. They are commonly regarded as the most effective drugs and can be administered intravenously or taken orally. The side effects include constipation and possible irregularities in the heart. The work by blocking the histamine receptor and are commonly used for motion sickness. The side effects include drowsiness and a dry mouth. These also act on the dopamine receptors and the side effects include sedation and abnormal movements. Other techniques include patient education, acupressure, hypnosis, ginger, smoking, low dose propofol and sedatives. Patient education is probably effective by improving expectations, decreasing anxiety and avoiding negative suggestions. PONV is an important but complex issue and a multimodal approach is needed to prevent and treat the problem. It is important for patients to educate themselves about the problem and discuss it with their anaesthetist before the aneasthetic.